If you’re anything like me, you try to watch what you eat, but like to live a little. So when I found out about Swell, The Next Wave of Ice Cream, a better-for-you ice cream compared to similar products, I had to find out more! As a fitness and wellness enthusiast, I obviously care about what I eat. I’ve tried strict diets before, such as Whole 30, and although I did get decent results, that lifestyle was not sustainable for me. Let’s face it, I have a sweet tooth and I love to enjoy the sweeter things in life without feeling too much guilt. 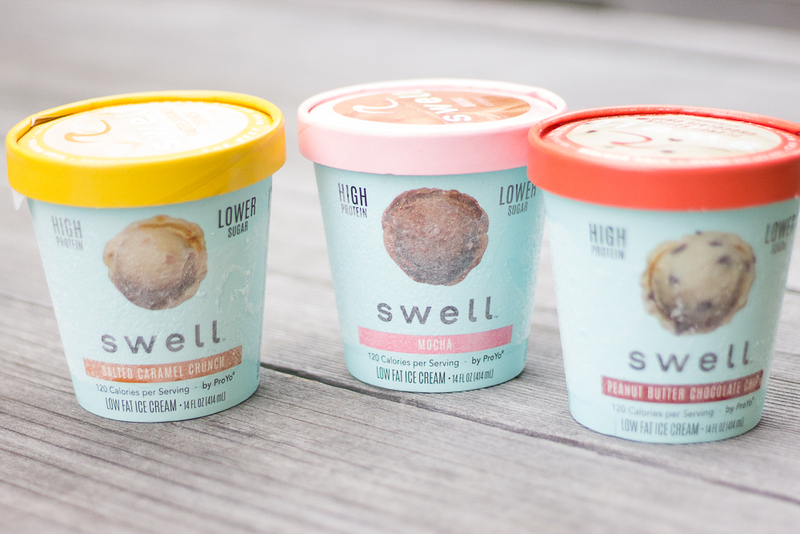 Meet Swell, The Next Wave Of Ice Cream, formerly known as ProYo. Same product, new name (and Instagram worthy packaging!). I’m personally glad that they rebranded because the former branding didn’t necessarily attract me. Previously, the packaging featured decadent shades of black, but primarily focused on how it had 35 grams of protein per pint. The new branding now feels light and airy and features a teal blue color, like the ocean, which immediately catches my eye. Although purple is my favorite color, anything close to Tiffany blue is a definite winner for me! 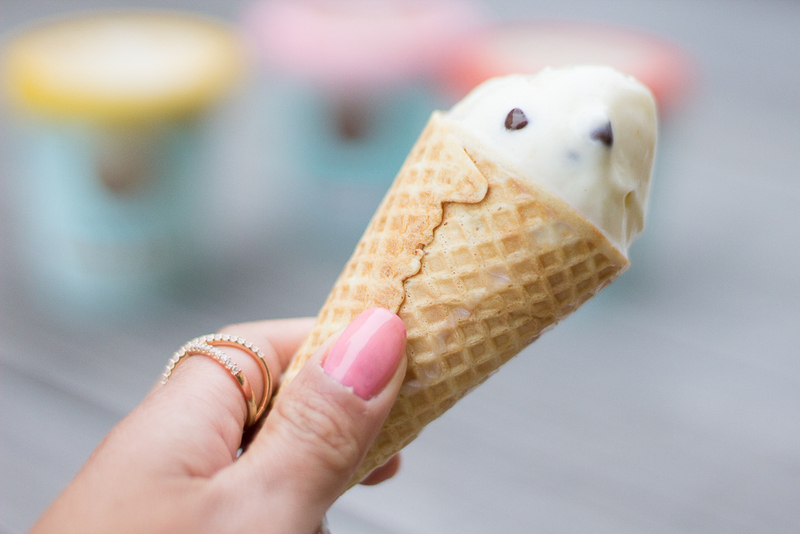 So here are five good reasons to try Swell Ice Cream! Each 1/2 cup serving is only 120 calories while still offering 10 grams of protein. I compared this with nutrition labels at the grocery store and found that most ice cream brands do not even offer 3 grams of protein on average (and most are higher in calories per serving). I’m being serious. You can literally use Swell Ice Cream as the base of a protein smoothie! How genius is that?! Each 1/2 cup serving is only 9 grams of sugar! For most other ice cream brands, this is typically a two-digit number. If you or someone you care about is diabetic, you know how important it is to watch your sugar intake. 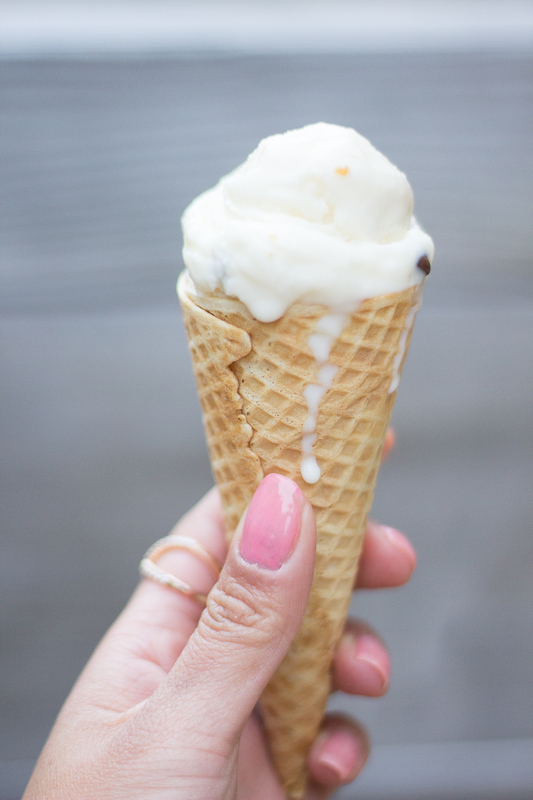 Swell Ice Cream can still be part of your lifestyle because it is relatively low in sugar. I’m personally not against sugar, but I do like to watch my intake. Hey, I have a sweet tooth – can’t help it! So if I’m going to treat myself to something sweet, it better be worth it, and Swell Ice Cream is the perfect treat, especially now that summer is here! I personally love anything with peanut butter or salted caramel, so those have been my two favorites so far! I do appreciate how at least half of the flavors are more chocolaty or decadent versus fruity. When it comes to ice cream, I prefer anything that tastes rich and indulgent over anything too fruity. With packaging like this, Swell Ice Cream is perfect for sharing on social media! 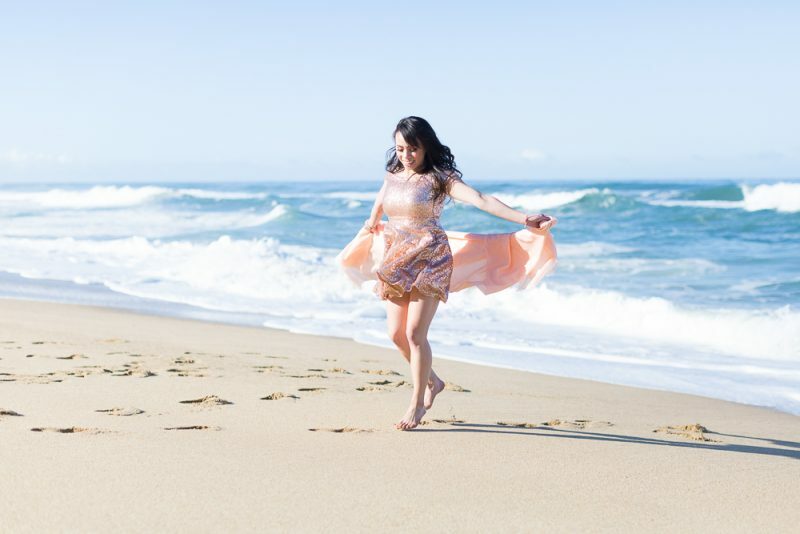 For those who care about creating content like me, anytime when you can BOTH 1) enjoy the product as well as 2) use the product for content (aka pretty photoshoots), you know how much of a big win that is! In case you haven’t noticed my Instagram feed, I love to balance pops of color with a bright and airy feel. Swell Ice Cream will look good on anyone’s feed, with or without the packaging (although the packaging is such a fun shade of teal blue!). Most of us agree that ice cream is one of the pure joys in life. Given the better-for-you nutritional profile of Swell Ice Cream, it’s hard to believe how delicious and creamy and high in protein it is. Try it out for yourself. Which flavor are you most excited about? Comment below! This post is sponsored by Swell Foods, but all opinions are my own. Previous Post Work at a Desk All Day? Here Are Some Ways You Can Stay Active!